A Powerful Portable Commercial Ambient Air Purification System for 360-Degree Removal of Fume, Dust, Smoke & Odors in Shops, Rooms, Warehouses, Manufacturing Facilities, Industrial Job Sites & More, with 3200 CFM and Up to 3000 Square Foot Coverage. Strong Chemical Fume & Odor Removal--Removes a Wide Variety of VOC's, Chemicals & Solvents Fumes & More. Best for: Fume, Odor, Smoke and Airborne Dust Removal in Autobody Shops, Warehouses, Sanding and Grinding Applications, Printing Facilities, Manufacturing, Truck Bays, Woodshops, Fiberglass Shops, Schools, Welding, Commercial Fabricating and Machine Shops, Bars, Restaurants, Veterinary Facilities and more! Maintaining safe OSHA-compliant ambient air quality in large commercial spaces and workshops can be difficult and expensive. When there are multiple types of pollutants in the same space, this often requires the purchase of different air filtration systems, dust collectors, fume extractors, etc, which increases costs further. The AER POD 1 provides high airflow for large room coverage as well as multiple filter configurations to handle a variety particle and fume pollutants--all in one affordable, portable unit. The AER POD 1 can be used to effectively control airborne dust and fumes from grinding, sanding, polishing, dry buffing, painting, parts cleaning using solvents, assembly using high VOC PVC glue, and many other applications. With its 360 degree intake, the AER POD 1 removes pollutants from all directions at once. A variety of filter combinations are possible--all carbon or other media for fume / odor removal, carbon and MERV, carbon and HEPA or others are available to provide effective removal based on the type, quantity and size of airborne pollutants. With the correct number of units running in the space (determined by calculations), the POD 1 can help you meet tough OSHA or other regulatory standards. The AER POD units come standard with powder coated and welded steel construction, either forward curved unbaffled or direct drive non-sparking blower with baffled discharge and TEFC motor. With the motor out of the airstream, this prevents 99% of any chance of ignition inside the unit, making the AER POD an excellent, affordable choice for controlling a variety of flammable or explosive pollutants, with a much lower cost than high cost explosion proof units. The unit comes with 4 empty filter tracks--filters are additional. Simply choose your filters below to match your application--if you're not sure, give us a call toll-free at 1-800-701-2513 and one of our application specialists will help determine what filters are best suited for your needs. Order your AER POD here at a discount online sales price and enjoy effective, affordable air quality control in your large commercial or industrial shop or room! There are not many official online retailers of AER Control Systems air quality products and unfortunately the internet is full of scams. As a general rule of thumb, if the deal seems too good to be true, it probably is. Cheap cut rate online deals often end up being a used or refurbished unit, which do not come with AER Control Systems top rated warranties. 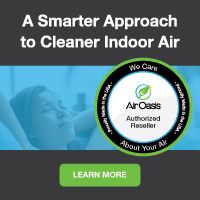 Or even worse, you may end up buying a cheap discount air cleaner that doesn’t have the energy efficiency, features or warranties provided by top-rated AER Control Systems air filtration systems. Our innovative partnership with AER Control Systems allows us to ship directly from their warehouse, which cuts out the middle man and eliminates the high operating costs of traditional brick and mortar big box stores. These savings get passed directly to you, allowing us to offer brand new allergy and asthma symptom-eliminating AER Control Systems air purifiers and filters at the best possible everyday cheap discount online sales prices. And buying from us is definitely better than direct--if you buy direct, you'll have to pay shipping. Buying from us, you always get fast free ground shipping as our thanks to you for shopping with us.